We love to see new and enthusiastic people who want to join our club. In order to join, you must first complete an 8-week introductory course. The Introduction Course consists of 8 weekly, 1-hour sessions. Our trainers will be there to help and guide you and your dog with the agility training. At first, the dogs will be on the lead as you and they get to know how to use the equipment. 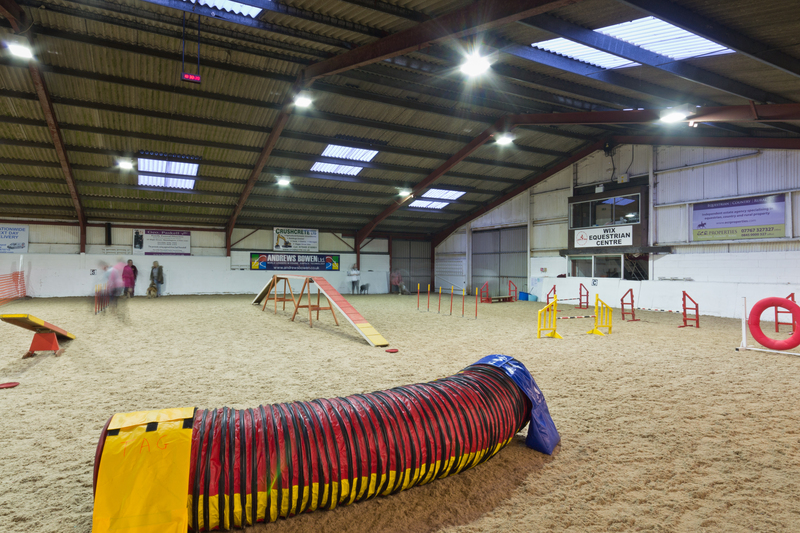 Some high equipment such as the Dog Walk, A-Frame and Sea-saw will be at ground level and jumps at a low level to start with. As you and your dog progress and become more familiar and confident with the equipment, it is hoped that you will be training your dog off the lead by midway through the course or towards the end of the course. A lot of praise, a favourite toy or treats will all help to encourage your dog in training, it’s a lot of fun and a great way to exercise too! Classes get booked up quickly, therefore we are happy to take bookings in advance. We can reserve a course date for you, however, your dog must be 1 year old or over at the time of the start date of the course. The course fee is £50. If you are interested, please contact us with your details. You and your dog will then be invited to come along to meet one of our trainers and you will also have an opportunity to see others training on the day. If you do decide to enrol in the 8-week course, we will require a deposit of £20 at the time of booking to secure your place, the balance will need to be paid at the start of the course. Once you are signed up as a member, you will then have the option to train on a weekly basis, classes are progressive starting from a beginners level to advanced. As you progress you will move up to the next class. The weekly training sessions are on a pay as you go basis priced at £4 per week. As a member, you will be able to request to join the members-only section on our website and our members-only Facebook page. There you can keep updated with all you need to know about TAG’s up and coming training, events and awards. Any news or information will also be displayed on the TAG notice board at training on Thursday evenings. 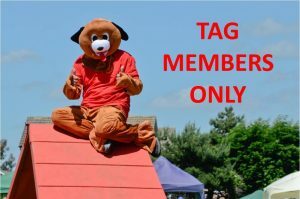 Click Tag Dog to Login. We do require help with setting up of equipment before the 7.00pm class, therefore the members in these classes should arrive about 10 minutes earlier to help assist the trainers with this. We also require assistance to help pack away the equipment at 9.15pm when the last class has finished. Any members in the 8.15pm classes are also asked to help with packing away of the equipment. Your help will be much appreciated. Thank you!